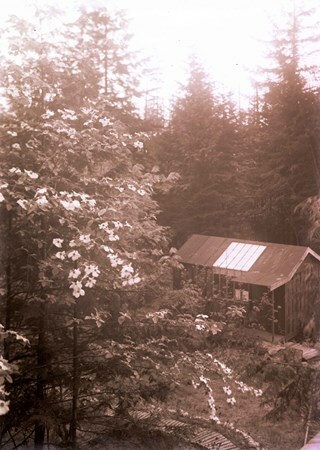 Photograph of the little shack where Jim Phillips, a photographer and artist, did his developing and painting. It was located next to the Holmes family home on Ellesmere Avenue. Note the thick bushland. Jim Phillips was killed in the First World War. 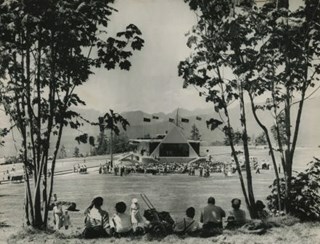 Photograph of an event taking place at Burnaby Mountain's Centennial Pavilion. 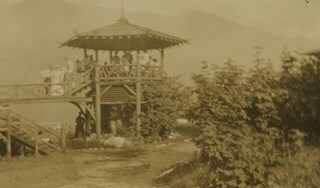 Stamp on back of photograph reads: "Basil King Photo"
Photograph of Burnaby Mountain's Centennial Pavilion, before it was rennovated to house the restaurant 'The Owl and the Oarsman'. 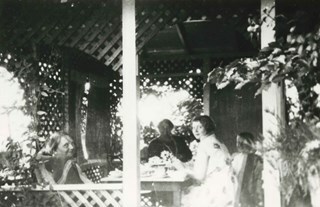 Newspaper clipping glued to verso of photograph reads: "Burnaby centennial pavilion, built in 1958 at which time it was proposed that it would be used as a banquet hall, restaurant and tearoom, may become simply a restaurant under plans being considered by the parks and recreation commission. The parks commission plans to begin resevations about October of this year when the present tenants have vacated." 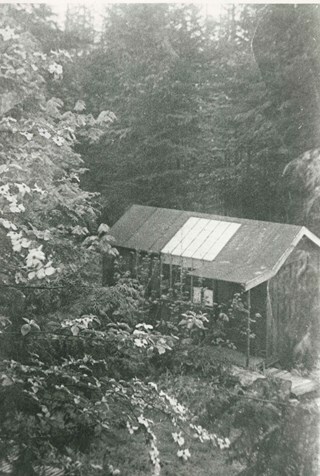 Stamp on verso of photograph reads: "Basil King Photos"
Photograph of the entrance to the Burnaby Lake Rowing Pavilion. 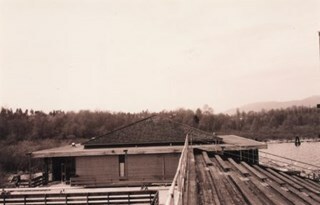 The pavilion and other facilities at Burnaby Lake were built in the early 1970's in preparation for the 1973 Canada Summer Games which were co-hosted in 1973 by Burnaby and New Westminster. 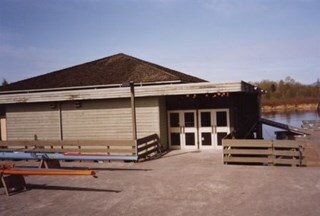 Photograph of the second entrance to the Burnaby Lake Rowing Pavilion. 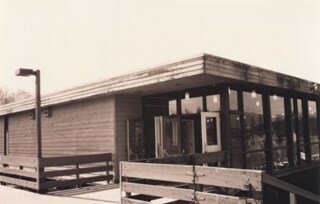 The pavilion and other facilities at Burnaby Lake were built in the early 1970's in preparation for the 1973 Canada Summer Games which were co-hosted in 1973 by Burnaby and New Westminster. 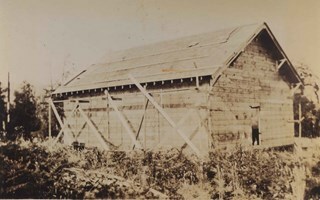 Photograph of the Burnaby Lake Rowing Pavilion under construction. 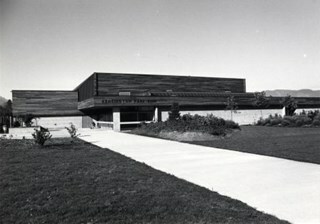 The pavilion and other facilities at Burnaby Lake were built in the early 1970s in preparation for the 1973 Canada Summer Games which were co-hosted in 1973 by Burnaby and New Westminster. Photograph of the entrance to the Burnaby Lake Rowing Pavilion. 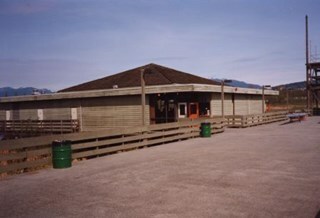 The pavilion and other facilities at Burnaby Lake were built in the early 1970s in preparation for the 1973 Canada Summer Games which were co-hosted in 1973 by Burnaby and New Westminster. 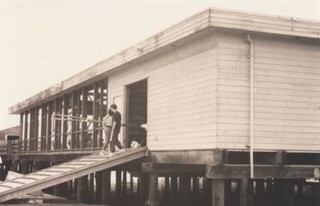 Photograph of two people carrying oars up a ramp at the Burnaby Lake Rowing Pavilion. 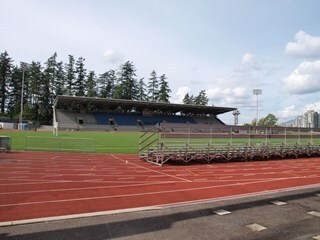 The pavilion and other facilities at Burnaby Lake were built in the early 1970s in preparation for the 1973 Canada Summer Games which were co-hosted in 1973 by Burnaby and New Westminster. 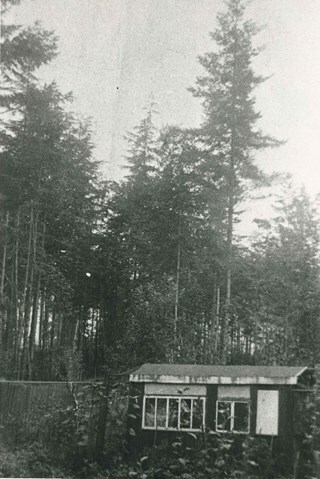 Photograph of an unidentified woman carrying an oar up a ramp at the Burnaby Lake Rowing Pavilion. 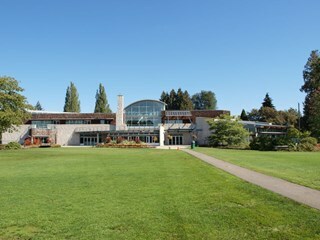 The pavilion and other facilities at Burnaby Lake were built in the early 1970s in preparation for the 1973 Canada Summer Games which were co-hosted in 1973 by Burnaby and New Westminster. 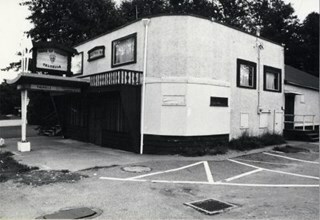 Photograph shows the Kensington Park Rink located at 6159 Curtis Street. 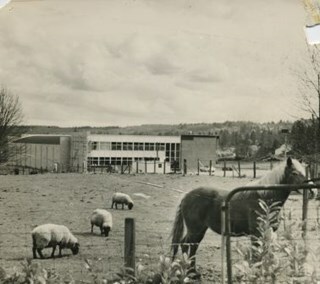 Photograph of a large YMCA building at an unidentified location (not likely from the Greater Vancouver area). The building is at least three storeys tall and includes an auditorium. The building also appears to be made of bricks. A caption on the centre left of the photograph reads, "YMCA Building." 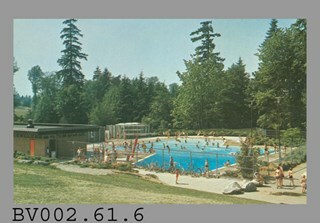 Photograph shows Bonsor Park Pool, at 4780 Brief Street (old address), between Fern Avenue and Bonsor Avenue. It was building it 1972 and 1973. 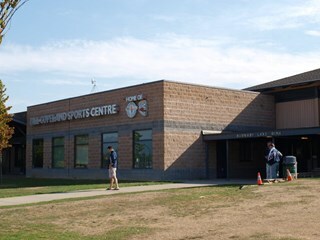 The pool complex features an olympic size pool, dressing rooms, staff offices and gymnasium style bleachers that seat 250-500 spectators at pool-side. 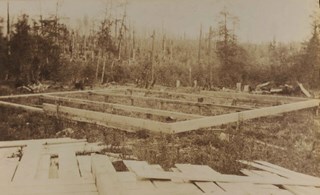 Photograph of original wooden bandstand at the Wigwam Inn on Indian Arm. Photograph of the exterior of a building and a field marked with lines. People are standing and seated outside. A woman is at the bottom right of the photograph holding a tennis racquet. 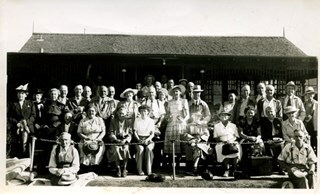 Photograph of the exterior of a building with people seated outside on the stairs, on chairs and on the ground. 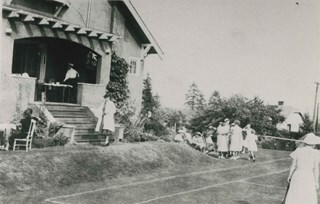 They are looking toward a tennis court formed by a field with lines marked on it. 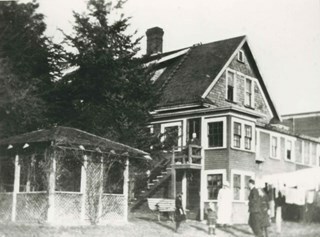 Photograph of the East Burnaby Lacrosse Club clubhouse building bee on the grounds of Edmonds Street School. Sitting on the scaffolding against the pole is George Leaf, manager of the club. The East Burnaby Lacrosse Club members scrounged materials and built the clubhouse in one day. 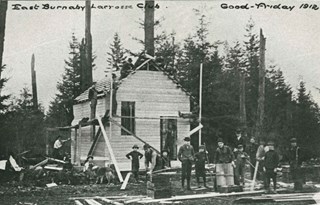 Annotation at top of photograph reads, "East Burnaby Lacrosse Club / Good Friday 1912"
Photograph of the Bonsor Hall (originally 6637 Fern Avenue). 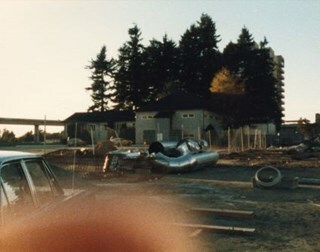 In the foreground, construction debris can be seen and the skytrain is visible in the background. 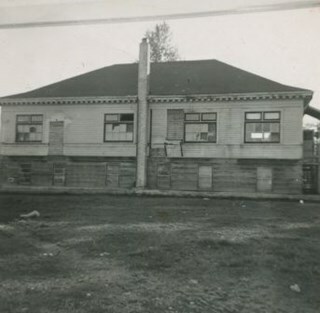 A note with this photograph indicates that this building was originally the Burnaby School Board Office. 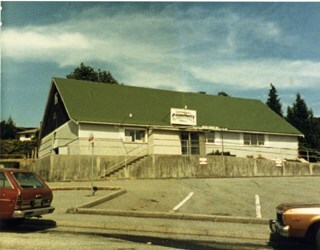 Photograph shows the South Burnaby Golden Age Society Recreation hall at 5024 Rumble Street. 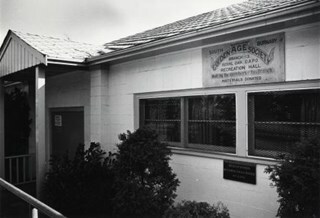 The building was erected by members of the Royal Oak Old Age Pensioners and officially opened October 4, 1954. 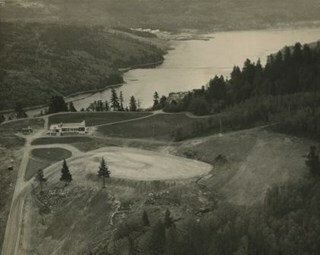 Photograph shows the Sons of Norway Hall, 3886 Canada Way. This building was formerly a nigtclub. 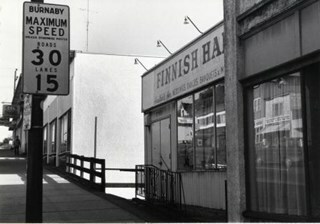 Photograph shows the Finnish Hall at 3750 Hastings Street. Sign says it is available for weddings, dances, banquets and meetings. Item is a VHS tape entitled “Burnaby's Bandstand / Jan. 1998." Continuation of title: "...Jan. 1998"
Photograph of the interior of Lochdale Hall. Streamers are hanging from the ceiling and the walls, and numerous people are seated at three long tables. The occasion is unidentified. 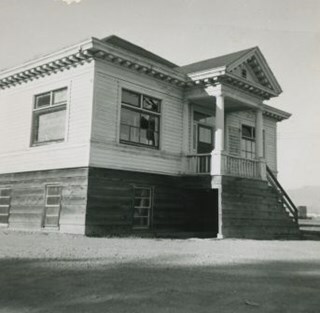 Photograph of Capitol Hill Community Hall at 361 Howard Ave. 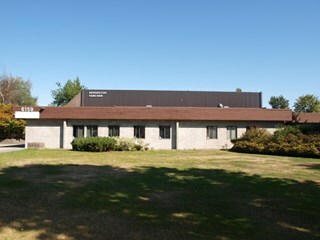 Photograph of the Shadbolt Centre for the Arts. 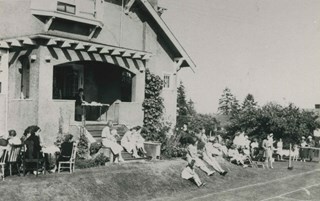 Photograph of spectators at the Central Park Lawn Bowling green. 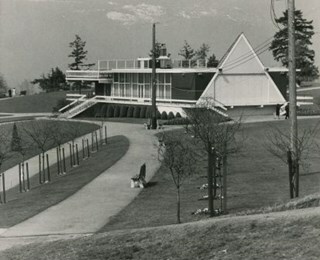 Photograph of the exterior of Burnaby Mountain Pavilion with Burrard Inlet in the background. 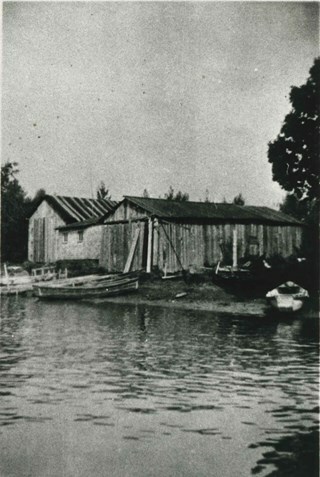 Photograph of Burnaby salmon fleet boat sheds, between the foot of Sussex (if it continued to the water) and the foot of Byrne along the north arm of the Fraser River. JS 6554 is Joe Stacey's 30-foot gillnetter. Photograph of the begining of construction on the Lozells Community Hall. 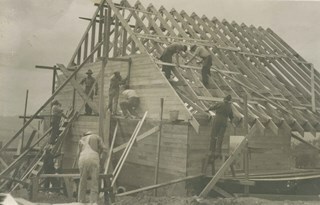 Photograph of the middle of construction on the Lozells Community Hall. Photograph of the Lozells Community Hall near completion. 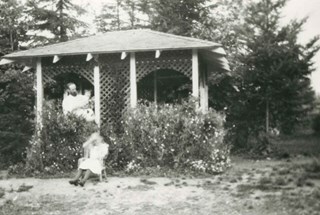 Photographic postcard of the Centennial Pavilion located in Burnaby Mountain Park. 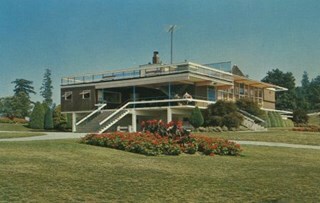 The caption on the back of the postcard reads: "The Centennial Pavilion, located in Burnaby Mountain Park was built in 1958 to commemorate the centenary of the Province of British Columbia. Numerous view points on beautifully landscaped grounds provide interesting panoramic views of the lower mainland." 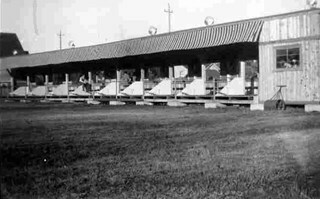 Photograph of the Inter-City Golf Driving Range in Burnaby. 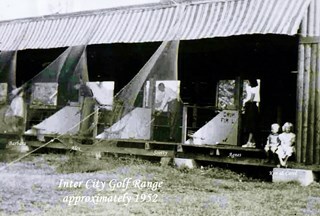 Photograph of members of the Walker family teeing off at the Inter-City Golf Range annotated with date, title and identification key. 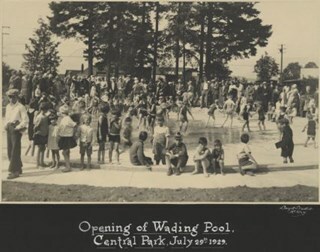 Photograph of the opening of the wading pool at Central Park. There is a crowd of children playing in the water. 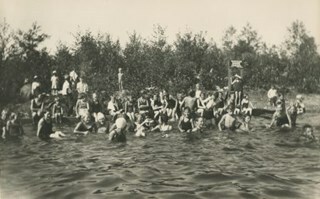 Continuation of title:"..., Central Park, July 29, 1929"
Photograph of children in the Mcpherson Park outdoor swimming pool. A sign beside the pool reads, "Warning Dogs Forbidden / By Order / Health [Officer]." Photograph of the Fairacres Gazebo and Mansion covered in snow. 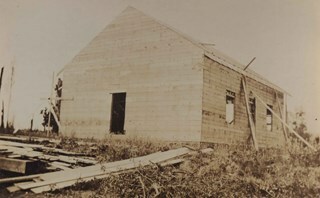 Photograph of the construction of the Capitol Hill Community Hall. Workmen are relaxing, standing high on a ledge just below the unfinished roof, as community members stand below them, smiling. 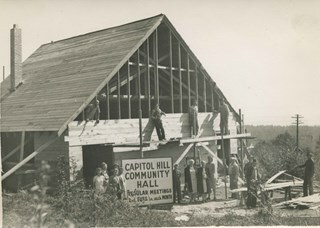 Photograph of the construction of the Capitol Hill Community Hall. The construction workers are all bent over, busily working on the roof and its supports.